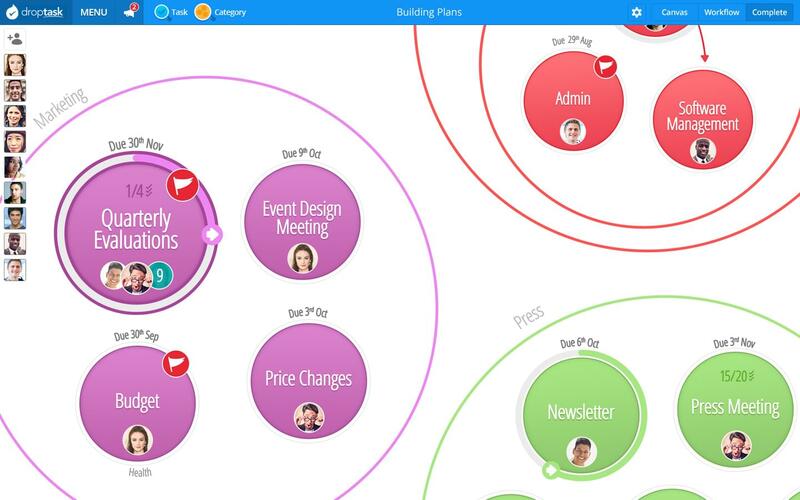 With an emphasis on simplicity, DropTask has a vibrant and colorful interface that delivers an enjoyable task management experience for individuals and teams who are working together on even the most complex projects. Whether you’re managing a remote team, planning an event, or simply looking to keep daily work organized in one place – DropTask provides an intuitive workspace where you can manage anything from creation through to completion. Since its beta launch in 2013, DropTask has received worldwide recognition for its entirely visual approach towards task management. Having amassed over 200,000 users and reached the top spot for productivity in both the US and UK App Stores, DropTask’s powerfully engaging capability has led it to become a firm favorite for individuals and teams within organizations such as Rackspace, McDonalds, Al Jazeera and HP. DropTask has Free and Business tiers. Their Free tier includes features such as unlimited tasks and categories, offline capability, invitation capabilities for up to 5 users, status tracking, instant notifications, start and due dates, project ownership transfer, and daily summary emails to review overdue and upcoming tasks. The Business tier offers unlimited projects and members, customizable workflow, built-in calendar, priority support, unlimited file attachments, project permission settings, comments and direct messages, task dependencies, multiple task reminders, unlimited checklists, Google calendar integration, project templates, and more. Still not convinced DropTask is right for you? Use our Product Selection tool to browse additional project management software solutions and get a custom recommendation. Have questions? Call, click, or email to get a free consultation from one of our unbiased Technology Advisors. Learn everything you need to know about DropTask. Our experts will reach out to you shortly.